The FitBit Charge HR is an awesome and well-rounded fitness tracker and fits most fitness and health needs. If into high-intensity workouts, the Charge HR may not be for you! Oh, the world of fitness trackers. There are so many to choose from you can easily feel overwhelmed trying to find the best fit for you. Do you prefer style or ability? Do you want heart rate monitoring and if so which tracker is the most accurate? Or maybe you want sleep tracking or the ability to change bands for different outfits. Based on my personal preferences and experience, the FitBit Charge HR is an awesome and well-rounded fitness tracker and fits most fitness and health needs! However, many moons ago, before I got sucked into the world of tracking my calories burned and obsession with fitting in 10,000 steps per day, I went on the hunt for a fitness tracker that would fit what I wanted. 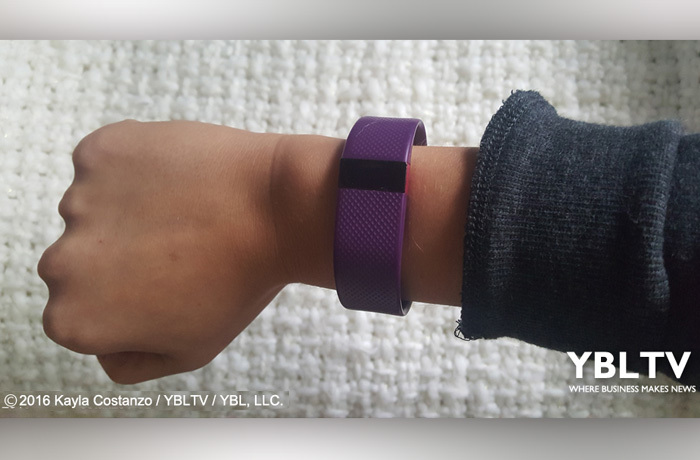 YBLTV Kayla Costanzo Review: FitBit Charge HR. After a bunch of research, I concluded that the FitBit Charge HR hit most of my checklist. My main area of focus was finding a fitness tracker with a great HR monitor. The Charge HR consistently came up at the top. Yes, there are other fitness bands out there that have better HR monitors for high intensity working out, but they are upwards of $300+. Additionally, they tend to be rather large for a woman’s wrist, in my opinion. Plus, my workouts usually consist of walking, occasional jogging, elliptical, and strength training, so the FitBit HR fits my needs. If you are into HIIT or other forms of high-intensity workouts, then the Charge HR may not be for you! For my rather modest workout preferences and desire to wear the band all day, it is perfect. Click here to read detailed HR monitor report/testing results of the FitBit Charge HR from Consumer Reports. What I really like about the Charge HR is its size and function. I don’t find it overly large or cumbersome and it is not nearly as unattractive as other fitness bands on the market. The adjustable band is useful and there is only one button on the side, which is easily pressed to run through the different display options on the display face (time and date, steps, heart rate, calories burned, floors climbed, and miles walked). You can choose between a few time and/or date display styles and what order you want the tracking options to be in. Another nice option is you can tap once on the display and it quickly shows whatever you choose as your “quick display” option. For example, when I tap on my display it shows calories I have burned thus far. To check out all of FitBit’s cool features, click here! FitBit’s app is awesome, which you can use with your band. You can log food, set personalized weight loss goals, track your calorie deficit, see a breakdown of your workouts into heart rate zones, and more. Sleep tracking is also an added bonus for the price of the band. It can track your movements when you toss and turn and logs at what times you are awake. Personally, I found myself using this option all the time for the first few weeks and then totally lost interest in tracking my sleep. I don’t even sleep with my FitBit on anymore. Sleep tracking was something I really wanted in the beginning, but after a while, it did not keep my interest and was more of a novelty. The price of FitBit’s Charge HR is also another positive of the band. Like I said above, so many fitness bands out there can really break the bank and are definitely not affordable for a lot of folks. The Charge HR runs about $149, which is considerably less than many other HR based trackers. 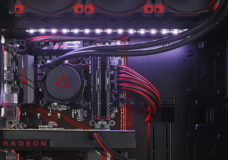 I also think you get a lot for your money based on features and quality, and in the end, the price is a rather small investment for a device that can really improve your healthy lifestyle!